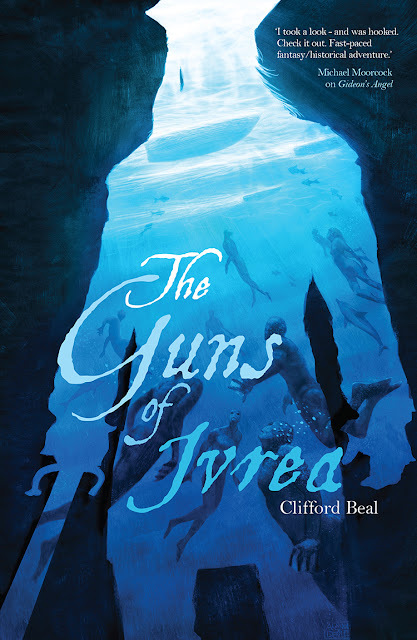 Guns of Ivrea by Clifford Beal promised to be a swashbuckling seafaring fantasy series with mercenaries, mermaids and monks dragged into a war that threatens the land of Valdur. It had all the makings of an explosive read - pirates, political intrigue and lots of action, a nautical epic fantasy series. Just what the doctor ordered. 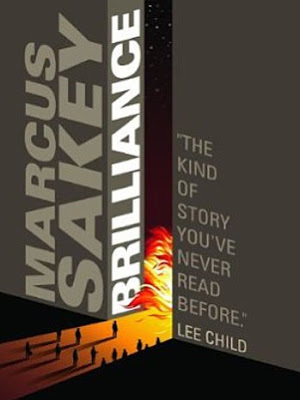 I got an ARC copy from Solaris and was giddy with excitement about the prospects - and dove headlong without too much distractions, meaning I didn't bother to read up the early reviews on the book or give heed much about the plot either. 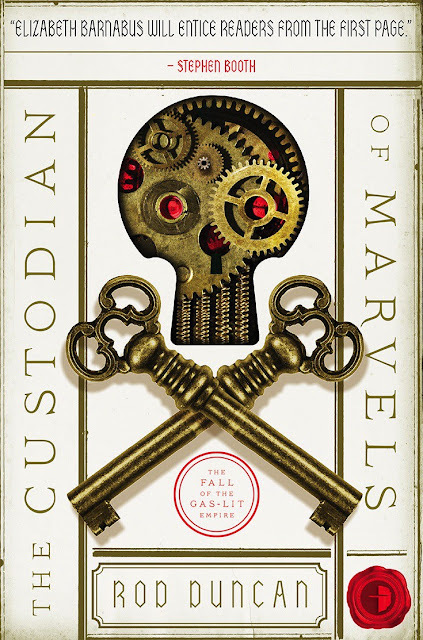 The Custodian of Marvels marks the end of the amazing series that was Rod Duncan's successful foray into fantasy - with the Bullet Catcher's Daughter - bringing things to a satisfactory finish, tying up most threads introduced over the course of the last couple of books. In the Gas-Lit Empire, Rod has built one of the most fascinating alternate historical settings, a world teetering on the edge of technological innovations, running on steam-punk somewhere in an alternate nineteenth century world, where the lines are drawn between the Anglo-Scottish Republic and the Kingdom of England and Southern Wales. So Daredevil Season-1 was a binge watch for me last month and what a series! I was blown away by the performances - the grit and dark of how the whole fight for Hell's Kitchen was orchestrated on the mini-screen. These days I get goosebumps when I think of Netflix Originals!! So was super excited to see the first trailer for season-2 that was released a few days back! Can't wait to share with my readers!! And the fight for Hell's Kitchen gets blown up a whole different direction with the introduction of Mr. Frank Castle AKA Punisher - another of my favorite comic characters in this universe. And hey, DO WAIT FOR THE END!! So this Wednesday, the featured book that I'd kill to get my hands on is The Last Mortal Bond. 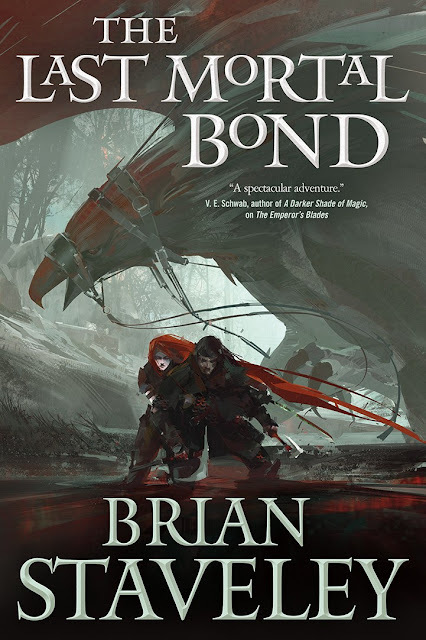 Brian Staveley has definitely become one of my favorite epic fantasy author of recent times and the way he ended things in The Providence of Fire, aaarrrghhhhh !!! So the snarkiest super-hero of the Marvel franchise, Dead Pool finally hits the big screen! And with a such a resoundingly loud bang! that catapults Ryan Reynolds into the pantheon of super-hero greatness wiping away all his previous bad luck outings - with Green Lantern/Blade Trinity/X-men Wolverine Origins stories. 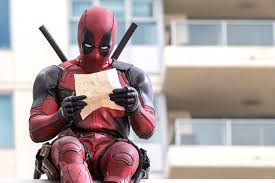 A mile-a-minute wise cracker who cannot keep it shut even in the most dire circumstances, Wade Wilson has been dealt too many rotten apples in life. So when Vanessa (Morena Baccarin) comes along waltzing into his life, the super cynical merc for hire knows its just a side-show in life. And reality comes slamming back with a fourth-stage cancer that threatens to take him away his dream-girl. So we are already into the second month of the year! Wow. Time's set on beating records again. Well, my readings been terribly slow - according to my GR reading goals for the year, I am 2 books behind schedule. The numbers? Did about 4 books in January and am halfway through 2 more! So thought will just list down the ones that are releasing in Feb and are on my highly anticipated list as well! One of the most awaited conclusions ever to the Red Rising trilogy! Will Mars be drenched in blood? Will Darrow, Sevro and Mustang survive this revolution? Published by Solaris books, Feb 9th. Swashbuckling pirates meets gritty politics GRRM Style in Clifford Beal's new fantasy novel - that seems to mix up a lot of things on the plate. I am halfway through this one and it's quite a romp! Review up next. I'm a huge fan of Mr. Sanderson - he possibly is the most hard working author in this planet. And the release schedules of Shadows of Self and Bands of Mourning speak for that. Plus he's got a brand new Mistborn Novella out as well this month. Add to that, Calamity (Reckoners # 3) coming out soon enough. Phew! Does this guy even take a break for breathing ? 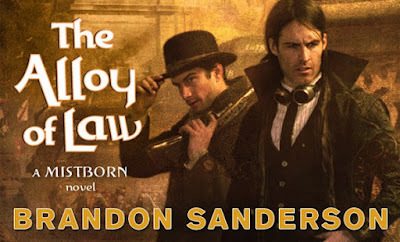 So Alloy of Law is a return to the wonderful world of Mistborn - albeit some hundreds of years later when technology has started to make its presence felt in the world. Steam-punk adventure clashes with the lawless wild west in setting drawn from Victorian sensibilities - throw in some underplayed romance, lots of 'bromance', an amazing magic system and a lot of non-stop action - guns fights and explosions galore - and then you realize how much fun this slim book packs in between its covers. Perhaps 2016 is the year when I will be fully utilizing the worth of Kindle Unlimited and the treasure trove of great books I can unearth in there!